Photo courtesy of Sunset Key Cottages. Key West might technically be part of Florida, but it is really a Caribbean island. 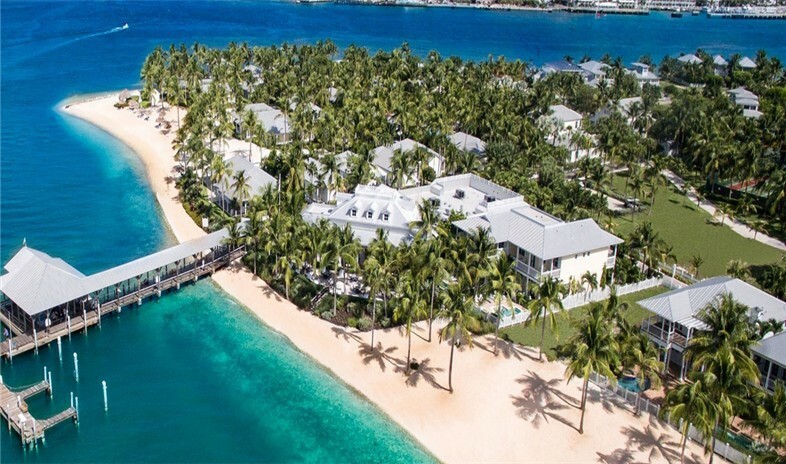 If you’re looking to get off the beaten track, Sunset Key Cottages are perfect. They’re located on an island only accessible by boat, but you don’t have to give up any luxuries! The resort has an infinity pool, great beaches with calm water and an amazing restaurant with great views. 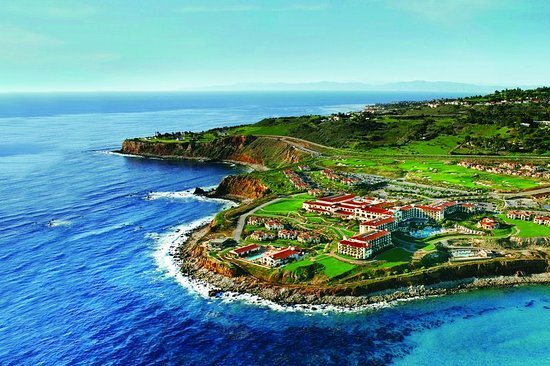 Located overlooking the Pacific, this mega resort features four outdoor pools including an adult’s only pool, eight great restaurants, a top-tier spa and a nine hole of golf course. The beach is too rocky for swimming, but you can kayak, paddle board and surf. It’s only an hour from most LA attractions, so it’s the perfect place to relax and then explore LA after you’ve decompressed. Photo courtesy of Montage Kapalua Bay. Hawaii might technically be part of the US, but like Key West it’s has a unique identity. For the ultimate luxury experience, head to the Montage Kapalua Bay. This resort has it all and couldn’t be more perfect. It’s located on a lovely quiet beach, has a world-class spa, a great complex of pools and hot tubs and all the villas feature gourmet kitchens! Photo courtesy of the Outrigger Guam. If you’re looking to get far, far away from every day life head to the Outrigger Guam. You have to fly to Honolulu and then, catch a flight to Guam. Guam is known for it’s military base and role in WWII. However, it has an amazing resort district in Tumon Bay. The Outrigger is located on the best beach and offers tons of dining and entertainment options. If you love Hawaii but want to try somewhere new, try here! Photo courtesy of the Aqua Resort Saipan. Not far from Guam, Saipan is also well-known for its part in WWII during the Battle of Saipan. However, the Northern Mariana Islands are a beautiful chain of islands in the Pacific Ocean. If you want that tropical island experience without a passport, try the Aqua Resort which is the premier beach resort in Saipan. The low-rise buildings blend with the natural scenery and highlight the gorgeous, white sand beach. The views are hard to beat! You’ll have to fly through Guam to get here, so this destination is not for the faint of heart. Photo courtesy of the El Conquistador Resort. The El Conquistador is re-opening to visitors on May 22nd!!! This Waldorf Astoria property was beautiful before the hurricane damage and is only getting better. Located about 45 minutes from San Juan airport in Punta Gordo, you’ll feel like you’ve truly escaped to paradise. The hotel has endless dining and drink options and seven 24-hour pools! This hotel is great for kids as it features a water park and two arcades. Take a magical excursion to the El Yunque rainforest which is only 30 minutes away. Photo courtesy of the Ritz Carlton St. Thomas. It’s hard to go wrong in St. Thomas which is only 4 hours from New York via direct flight. This Ritz Carlton property was gorgeous and featured an Instagram-worthy infinity pool and a perfect, white sand beach with great snorkeling. The hotel as well as the island was badly impacted by Hurricanes Irma and Maria and will re-open in January 2019. Get ready!